Popular format is ideal for reporting wages paid. Simply order according to the number of employees. 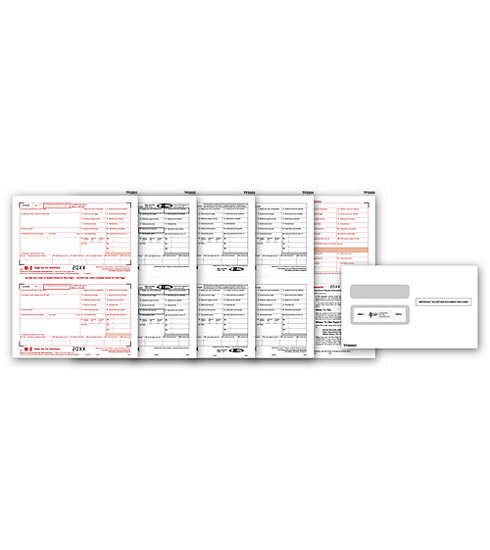 Meets all government and IRS filing requirements.All the laser W-2 tax forms and envelopes you need in 1 package, for 1 low price!